Complete professional hair salon line based on natural and organic ingredients, with less chemicals and better functionality. What good is beautiful hair when it is a risk to your health? At NATULIQUE, we work from a simple standpoint; to use as many certified organic ingredients in all of our products, and provide the professional hair colour industry with a safer and more sustainable alternative, with fewer chemicals and better functionality. Back in the late 80s the young Danish couple, Stig and Mette were shocked by terrible news. During a routine checkup the doctors discovered a lump in Mette’s breast. It was cancer. She was only 28 years old, and had been living a healthy life and did not smoke nor drink. There was no history of breast cancer in her family. At that time there was little information about the disease. But Mette and Stig’s own investigation made it clear that our constant exposure to toxins, harmful chemicals and pesticides found in cosmetic products are connected to the risk of cancer. After operations and radiation therapy, Mette luckily recovered and survived. But the wake-up call of how we all are affected by harmful chemicals came to change the family’s way of living and choice of cosmetic products. 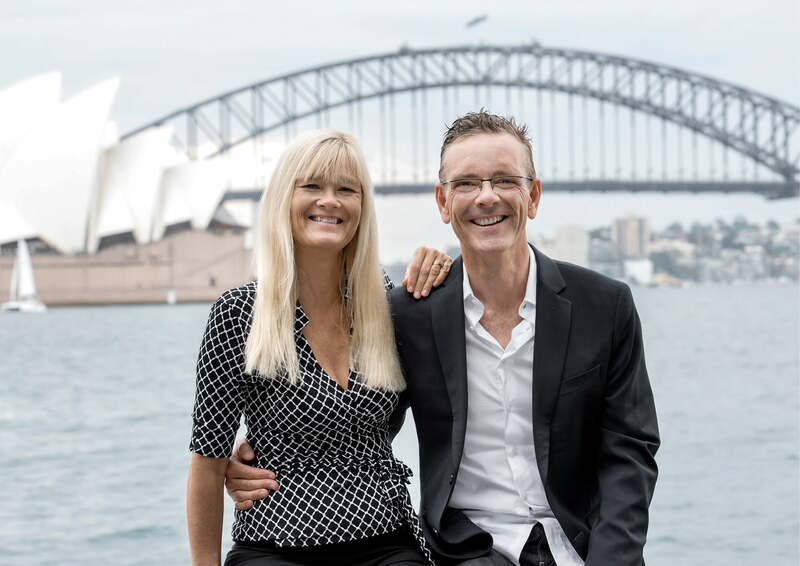 Realising that the market for trustworthy organic products was extremely limited, Mette and Stig decided to make it their mission to bring safer, cleaner cosmetics to a market desperately in need of change. In 1998 they founded NATULIQUE. The world’s first professional hair salon line, which have made it possible for hair artists and their clients to no longer have to worry about ammonia, resorcinol, or parabens when colouring hair. The NATULIQUE hair colours are stripped away from all unnecessary chemicals, and are instead based on organic and natural ingredients beneficial for both the hair, health, and the planet. Today, the NATULIQUE natural hair colours are proven to be the best ammonia free professional hair colours in the world. Moreover, the NATULIQUE hair care line is the world’s first complete certified organic hair care line for professionals. As a survivor of breast cancer, Mette became one of the driving forces for creating NATULIQUE. Her realizing what chemicals in cosmetics does to our bodies shed the light on the lack of organic products in the professional hair industry. Mette has a background in law but turned to the beauty industry with a sincere passion for bringing safer products to the market. Her professional legal knowledge within cosmetics legislation is the building block of the high safety standards and quality of the NATULIQUE products. As a young graduate in Economics, Stig’s goal was to choose a career in wind, wave or tidal energy as it means working towards a brighter, more sustainable future. But, after experiencing the consequences of cosmetic chemicals in his family, he realized that sustainable living is not something exclusive to green energy production. This led him to pledge his career to creating a cleaner beauty industry. Stig’s comprehensive business knowledge is what drives the organic movement of NATULIQUE in the cosmetic market. NATULIQUE introduced the Everyday Hairwash manufactured as a professional hair care product. The investigation in the properties of the naturally derived ingredients, such as flower and plant essences as key ingredients, were in progress. With drive, resilience and passion a small group of hair stylists became the green pioneers. They shared the same vision as NATULIQUE. With a promise to use as few chemicals as possible, the green hair stylist was born. NATULIQUE introduces new organic products: The NATULIQUE Moisture Hairwash and the NATULIQUE Volume Hairwash. Each of the hair wash products were also paired with a NATULIQUE conditioner. For the first time, NATULIQUE attended COSMOPROF; an exhibition exclusive for beauty professionals. COSMOPROF shows salon and beauty industry news from top manufactures and the latest salon trends, worldwide. As more brands started marketing their products as organic, we realized that we had to get a trustworthy certification standard. With global presence, NATULIQUE had to go with a certification standard with a goal of becoming a worldwide certification body. NATULIQUE made a small range of NATULIQUE herbal colours. These were the very first colours we ever introduced, and they were without PPD, PTD and Resorcinol. We thought these could be sold as a certified organic alternative to the normal chemical colours. But the process of permanently binding the colour to the hair strands was difficult, resulting in colours fading more quickly. This did not fit into the work in a salon and ultimately our hair colourists could not serve the needs of their clients with this colour. NATULIQUE launched a range of 68 colours only for the use of creative, skilled and conscious professionals. The NATULIQUE Natural Hair Colours are gentle and lasting cream based permanent hair colours designed with focus on natural ingredients and less chemicals. NATULIQUE decided to work with distributors and today, we have the best and most dedicated partners, all over the world, and it is of great value to work with them and their customers. We started making new marketing material and packaging using Rock Paper to reduce our carbon footprint. NATULIQUE adopts environmentally friendly solutions for production, packaging and marketing materials. 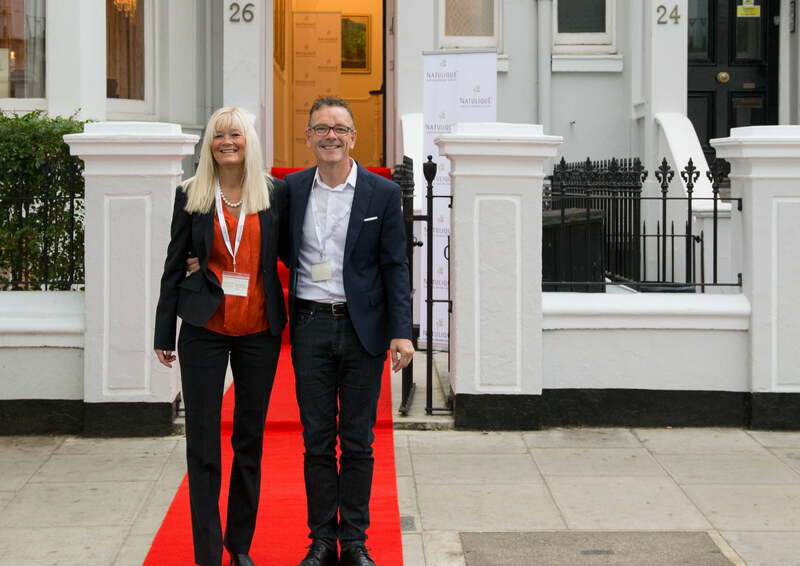 In November 2013, the NATULIQUE UK distributor launched the NATULIQUE Colour Innovation Awards, which was held in London. The Natural Styling line was unveiled in a big event in Las Vegas. We started out with 6 total styling products. The Nourishing Cream, the Curl Cream, the Hair Mousse, the Dry Shampoo, the Medium Hold Hairspray and last but not least the Argan Oil. We use use propellants from 100% BIOMASS for our spray cans. It is made up of recyclable materials and does not leave any carbon footprint like most other aerosol spray cans unfortunately do. At the World Beauty Forum in London, we introduced the ZERO Colours and the Douce Colours. The Zero Colours are 11 natural shades that are 100% PPD-free – as an alternative to our original colours. The Douce Colours demonstrates the hottest new way to colour hair with 6 trendy fashion pastel colours. 2016: Introducing the NATULIQUE Heat and Sun Protector and the Natural Curl and Smoothing System. Realising that no organic certification on the market at moment lives up to the standards we strive for, NATULIQUE created 360BIOCERT. With this standard we want to raise the bar for safer products in the professional hair industry. None of the NATULIQUE products are tested on animals, and never have been. The vegan certification is a symbol of the clear stand NATULIQUE takes against animal cruelty, and it assures the professional hairdresser that no animal testing or animal ingredients are in the products. NATULIQUE is now a full concept line that cover every need of the natural hair artist, enhanced with: the Colour Shield Hair Wash, Flexible Hold Styling Gel, Defining Hold Molding Paste, Hair Growth System, Beach Wave Ocean Spray. NATULIQUE is rooted in Denmark, which is one of the most forward-thinking countries when it comes to sustainability, green living, and organic farming. Denmark was the first country to introduce an organic state control, and has historically taken a progressive stance on environmental preservation as the first country in the world to implement an environmental law. We are regulated by the European Cosmetic Law, which bans 1.372 cosmetic ingredients while the US only bans 10. The NATULIQUE products are therefore at forefront of the industry by being developed in a safe and innovative environment. NATULIQUE has created 360BIOCERT, which lists the standards and ethos we pledge to when producing our organic and natural based products. It not only reflects the strict EU regulations we work under, but it also goes beyond industry standards and current organic certifications present in the international cosmetic market. We created our own standard as no certification on the market at moment lives up to the standards we strive for. With 360BIOCERT we want to raise the bar for safer products in the professional hair industry. We are exclusively for professionals. We believe that professional care and styling products should only be sold as an extension of advice giving by salon professionals only. This is why our products only can be found in salons and not on store shelves anywhere through the World. This is our pledge to the Professional Hair Artist. The Future is Organic and Sustainable. Empower Hair Artists with Sustainable Creativity to Change the World. As we strive to provide safer products within the beauty industry, we continuously develop new and improved products for the professional hairdresser with less chemicals and better functionality. Join our media list to make sure to receive information on our newest product announcements, stories, and brand extensions. What types of stories do you cover?